Stew is a hearty and convenient meal. 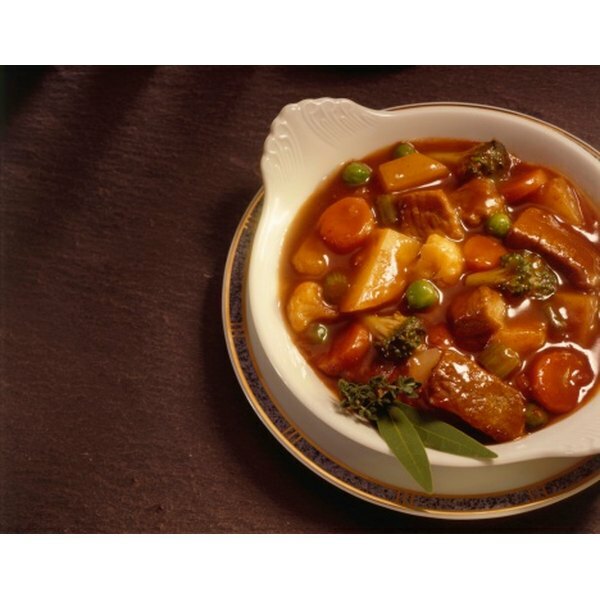 Stew is a food staple that has been with mankind for centuries. The dish is convenient for several reasons, mainly because the ingredients can be incorporated and left to blend for hours. The longer they blend, the better your stew will be. Slow-cooking the stew requires some planning but makes a hearty meal. Stew is also easy to leave in the refrigerator for leftovers. Put a large pot on a stove burner and turn the heat onto high. Pour in the vegetable oil. Place the cubed meat into the pot and saute on medium-high heat until all sides are brown. Chop the vegetables and then add them to the beef. Add the bay leaf and salt. Mix the flour, beef broth and water in a bowl. Add it to the meat and vegetables. Turn the slow cooker to high. Transfer the ingredients into a slow cooker and then let them cook for about one hour. Reduce the slow cooker temperature to medium and let cook for an additional four hours. 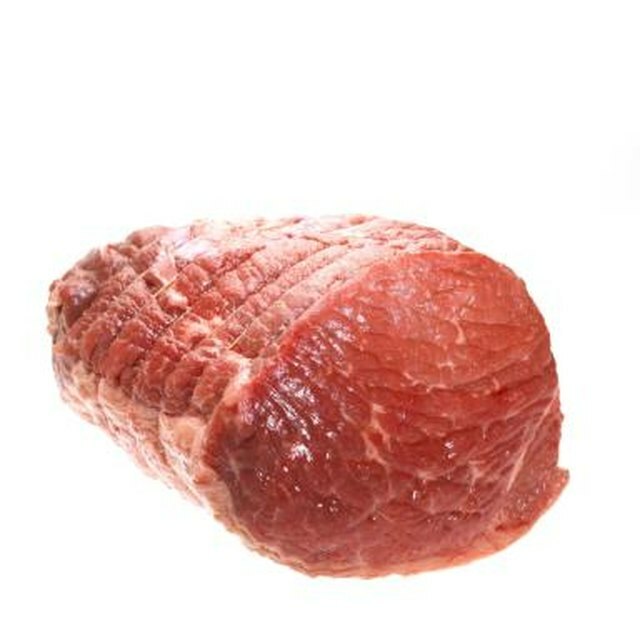 Though you can put all the ingredients directly into the slow cooker without sauteing them first, browning the meat adds texture to the outside of the meat and packs in the meaty flavor.